Remember when people said the same about Watson last season. Teams will get tape on him and figure him out just like Dak, just like Watson. If he is still lighting up the league after a full season i'll be surprised. .....I have to laugh at the “wait until they get film on him” takes. Watson was throwing a lot of Ints last year and a lot of 50/50 passes. The tape showed that he isn’t as effective from the pocket. Dak never was especially accurate without a strong play action game. what are teams going to actually see on film watching Mahomes? That in the pocket he will go through reads quickly, get the ball out quickly? That he looks off safeties and no looks a pass the other way? Or that you send pressure he just runs left or right and still throws strikes 25 yards down field? Perhaps you could simply quote your post at the time clamoring for us to take Mahomes? I mean 9 other teams passed on Mahomes. I’m sure their fan bases are just upset, however they didn’t trade the pick to the team that drafted him. Tim Couch was really talented. He was. A Qb that looks like Couch in college will be drafted in the top 10 every time. Mahomes would look no different than Allen on this team in this offense. Winner winner chicken dinner. This is a Super Bowl post. Many of us made it clear, me Billsareback at the time and Jeffsmagic made it perfectly clear at the time that the Bills would regret the day they did not draft this guy. We both said he was a once in a life time QB. I said we should trade our entire draft to move up to 1 to draft him. I said you could draft 7 probowlers in the 2017 draft and not draft a QB and wait to 2018 and this would be a failure. 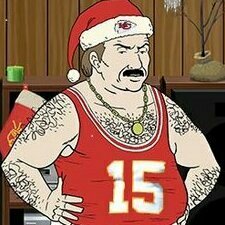 Me and jeffsmagic said this guy was the next Farve and would make the Chiefs the dominate team in the AFC Team for the next decade. It’s funny how the people who mocked me and jeffsmagic and ridiculed us about our opinions on Mahomes. You forced Jeffsmagic to quit the stadium wall over the harassment he incurred. Now those people are in hiding and are no where to be found. Your GD right i’m pissed over that treatment back then and I have every right to call all of you out for that behavior we received. Winner winner chicken dinner. This is a Super Bowl post. Many of us made it clear, me Billsareback at the time and Jeffsmagic made it perfectly clear at the time that the Bills would regret the day they did not draft this guy. We both said he was a once in a life time QB. I said we should trade our entire draft to move up to 1 to draft him. I said you could draft 7 probowlers in the 2017 draft and not draft a QB and wait to 2018 and this would be a failure. 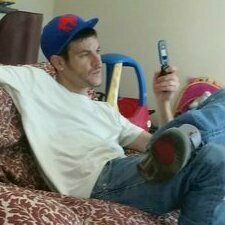 Me and jeffsmagic said this guy was the next Farve and would make the Chiefs the dominate team in the AFC Team for the next decade. It’s funny how the people who mocked me and jeffsmagic and ridiculed us about our opinions on Mahomes, you forced Jeffsmagic to quit the stadium wall over the harassment he incurred. Now those people are in hiding and are no where to be found. Your GD right i’m pissed over that treatment back then and I have every right to call all of you out for that behavior we received. A) If every QB, no matter how talented or good they look in any other offense or on any other team, would do no better than Josh Allen, then WHY expend all the draft capital to draft Josh Allen? B) If any QB, no matter how talented, or not, they are, would look as good as Mahomes does now, then why didn't Alex Smith do this with same offense and weaponry? He is responsible for the pic that gave NE a SB. He’s not all that impressive these days. Kapernick had a good year, took the 49ers to a SB and lost, yet people aren’t falling over for him. Russell Wilson won a Super Bowl, has been to 4 Pro Bowls, has statistically been a top QB for several seasons, and he could potentially start for another 6-8 years. Kaepernick never did this, Tyrod Taylor never did this, Dak Prescott never did this, etc. Where are you people coming up with these lousy comparisons? Like him or not, and regardless of what he does this year, Russell Wilson is firmly in Tier 2 QB territory with the likes of Rivers, Cam, and Big Ben. Scheme and players matter in the NFL. Elite QBs make everyone around them better yes. Those QBs didn't start off doing that. Look at Goffs first year vs his second. If you look at the first 8 games last year, Alex Smith was a top 5 Qb by any measure. When it got colder and the weather turned so did his play. Just like every position you draft for ability and potential. To think situations dont matter, players you put around them don't matter, and coaching doesnt matter than good luck. Maybe the football gods will fly down and hand us another franchise Qb. Or maybe they build an offense around the one they drafted? Create a scheme that limits his areas of weakness and highlights his strengths. Put effective pass catchers and Weapons on the field that strain a defense horizontally and vertically? You're on the right side of the argument, but you're fighting some SERIOUS self delusion. Some of these people will use their last dying breath concocting excuses for Josh Allen. You'll never convince them. By the way, screw the Chiefs! Andy Reid doesn’t put the ball right where it needs to be. Josh Allen couldn’t make that thing work like it is. Maybe in three years , but I highly doubt it. It’s Jimmys and Joes, not Xs and Os. I'm not delusional enough to think 1 player makes the 2018 Buffalo Bills anything more than marginally better. Put Aaron Rodgers on the field they may go 6-10. And you expend draft capital for Josh Allen because he has all the tools......but is obviously very raw.....Mahommes is def better then year.....I care more about what Josh Allen looks like next year when (hopefully) Beane puts a actual NFL offense around him. These are all straight from the TBD Archives, staring, You all. Here is this gem, discussing trading out of 10 pre draft....amazing how many people were calling for a trade back into the 20's so you could pick up the extra 2018 First round pick. "The Frankish Reich" has a very prophetic quote in this one. Another long one with MOST eveyrone on board with trading down and passing Mahomes. I am sure some wanted him. I was not one of those people. 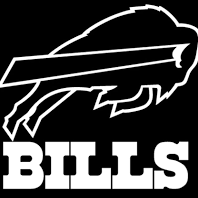 Very happy with the Tre White and 1st round pick trade that turned into Josh Allen. I saw some of your thougtht in the above threads....you've been entirely consistant throughout this whole thing....my hats off to you sir for sticking to your guns. Trent Dilfer won a SB and was in the Pro Bowl, he fits the criteria as a tier 2 QB. You can have your opinion of Wilson. I’ll always look at him as I see him, average not able to carry a team on his own. And Big Ben is a tier 1 QB not a tier 2.